The Ark Secret is a newly published book by Jerry Bowen, the director of Anchor Stone International. He’s been a Bible student for more than 40 years. After being introduced to the controversial research of Ron Wyatt in 1988, Jerry started delving into research on biblical archaeology sites. This book is an outgrowth of those years of research, written in a style that even children can probably understand. A reported archaeological discovery in Israel could shed new light on Christian theology. For centuries, the atonement has been taught as having been accomplished by the physical death of Jesus Christ. 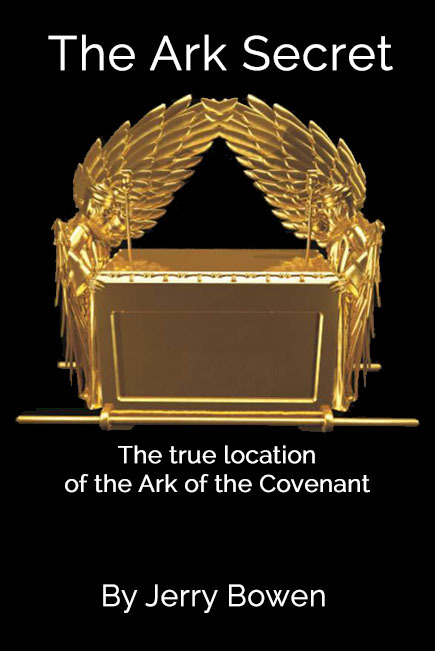 Could the Ark of the Covenant shed new light on redemption? The secret message of the Ark was hidden for nearly two thousand years. Why is the Ark of God making a noteworthy appearance now? Could its discovery be a harbinger of the events of the very last days of earth’s history? The 144,000 of Revelation learn a song connected to the ark. They are the ONLY ones who can learn this song. Why?